(424) 241-0290, Valid U.S. Passport. Continuous Improvement, Operations Management, Lean Efficiency, Six Sigma Quality, Process Improvement, Root Cause Analysis, ERP Development, Kanban Systems, Kaizen Sprint, Engineering Design, Project Management, Team Building and Training, Supply Chain Management, SPC, Medical Device, Industrial Products, Carbon Composite, Machining, CAD, Design & Evaluation of Systems, Work Measurement, Lead and Lag Performance Indicators, Key Characteristics, Standards Development, Data Analysis, Leadership Development, Business Process Analysis, BAC 5578, NADCAP, Public Speaking. Management Focused, Results Driven Leader who consistently achieves continuous improvement with Lean Six Sigma methodologies. Proven ability to train and motivate teams to discover systems improvement, Contributes to strategic decisions supporting management. 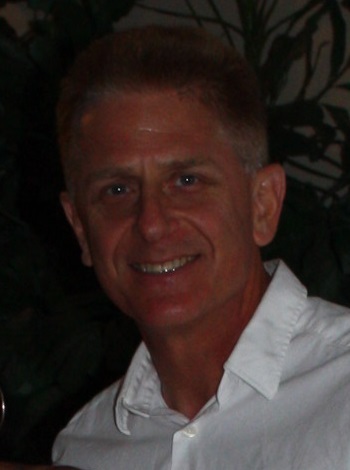 Optimization Engineering, Continuous Improvement, Operations Management, Industrial Engineer, a leader with 15+ years of experience in manufacturing. Managed projects to achieve continuous improvement. Manufacturing process knowledgeable of carbon composites, electronic assembly, medical device, extrusion, injection molding, CNC machining and assembly operations. Managed 30+ people, production scheduling, assembly, optimization, product costing. Master of Business Administration-Finance; Six Sigma and Lean Six Sigma Certifications. Supply Chain Management experience from military and Industrial Engineering procurement responsibilities; Worked with SAP & Oracle E1 ERP systems for procurement and data update. Value Stream Map, Kaizen, Kanban, and Lean. Mitigated manufacturing and inventory with Lean Six Sigma Principals to control costs and reduce variation defects. Excellent communication and relationship skills demonstrated with results achieved through report writing, teamwork, customer account management, leadership roles and vendor negotiations. Analytical with operational data, Continuous Improvement focus and proven problem resolver. U.S. Army, Field Artillery, Logistics, and Leadership. Master of Business Administration, Finance, California State University Dominguez Hills, 2014. Bachelor of Science in Industrial & Systems Engineering, The Ohio State University, 1991. Lean Six Sigma, Villanova University (On-line), 2009. Six Sigma, Villanova University (On-line), 2010. FAOBC, Ft. Sill, OK, 1990. OBR Optimization Engineering delivers optimal value while controlling costs to maximize ROI for company stakeholders. This is accomplished via Lean Six Sigma methodologies to improve efficiency and quality with control, innovation, and teamwork. Edwards LifeSciences: Plant Expansion Project; Contract. Tenacore Holding: Operations Management/Quality Assurance/Continuous Improvement, 2015 – 2015, Santa Ana, CA. Medical Device Manufacturer, DNA Device Contract Assembly, Injection Molding, Screen Printing, Machining. Gained control of operations with production sheets and visual production boards for transparency. Ensure Quality Assurance for medical device manufacture via DHR, sampling and dimension tolerance. Created a personnel scheduling board to reduce time to production and facilitate operation transparency. Created machine shop production log to track work orders and costing of jobs. Researched and implemented time tracking software in machine shop to analyze cost of jobs. Scheduled production for 20+ personnel: two shifts, assembly and secondary value added activities. Increased clean room assembly output from 1500 to 2500 using conveyor belt and balanced work. Delivered first article to internal customers for medical device assembly and repair. Investigated robotics on current machines to automate production. Costed production runs to ensure gross profit from Cost of Goods Sold. Delivered quotes for production and discussed pricing with management to cover costs and margin. Reduced cost of manufacture with Material Usage and Machine Run Time to work order paperwork. Optimized scheduling for production using variables of priority, time, availability and preparation. Responsible to interview, hire and promote personnel for machine setup, supervision, and operation. Streamlined Work Order processing paperwork and Bill of Materials using existing software. Created paperless database for mold settings and product run characteristics. Project focus: Inventory raw materials for database to increase transparency and decrease cost. Project focus: Catalog molds for the efficient recovery and maintenance of production molds. Hitco Carbon Composites, Industrial Engineer/Operations, 2013 – 2014, Gardena, CA. Pre-cut Materials, Boeing Crate & Subassembly (Special OOA Project), Pratt-Whitney Part Protection (FOD, Depressions), Shear Tie Crate, Atlas Epoxy shelf life, Analysis of Issue/ Solution/ Implementation FOD/ Depressions, Core Check Sheet, Caul/Beam Check Sheet, MRB/ Corrective/Preventative Action (Pratt-Whitney Protection), SAP Material Master Creation, Material Requisition/Purchase Order Submittal, Daily Production Graphical Representation, Direct interaction with Production Floor Leads to Immediately Resolve Production Issues (kits/core, tools), Value Stream Mapping. Assist/Analyze Green Belt Project Data. Endress+Hauser Conducta, Industrial Engineer/Operations, 2011 – 2012, Anaheim, CA. Design Metal Connections, Industrial Engineer/Operations at, 2008 – 2010, Gardena, CA. Taught annual SPC training classes, Monitor daily Cp, Cpk, Purchase Capital Equipment/ calculate ROI for: Okuma Captain 370 twin Spindle Lathe ($165K), 2 Haas CNC Lathes ($52K), Entec Composite Winding Machine ($125K), Custom Silicone Bead ID Machine ($75K) & Penetrant Line expansion ($100K) with floor layout and installation. Capital Project Implementation of Composite Winding Machine: Specification, Design, Quote, Layout, Installation, Setup, PLC Programming, Operating Instructions, Training of employees & Maintenance of System. Participate in NADCAP, Boeing, Airbus Process and Chemical Audits to include Cleaning process. Machine Shop Layout: Optimization of production flow: from 1 man 2 machines to 1 man 3 machines in cell format. Capacity Analysis. Tool and Gage design and prototype for production with Solidworks. Paint Shop process improvement & Automation for manufacturing process with robotics. Graphical Production monitoring. Document creation for regulated processes: SPC & Composite Winding. Creation and modification of Routers/BOM. Presentation of projects to area managers and executives via PowerPoint. Integration of Lean Principles, Six Sigma Variation (defect reduction) Methodology, 5S, A3 Report. Led weekly meetings to maintain and improve SPC/gage/key characteristics. Oracle/E1 ERP, Material Review Board (MRB). Forge Shop, Assembly. 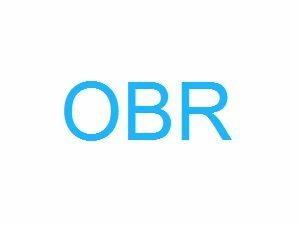 OBR Optimization Engineering is dedicated to a promise of the core values of professionalism and integrity. This dedication sets the standard with a clear understanding of the obligation to fulfill the responsibility of ‘Lean CI Optimization Specialist’. Customer relationships are developed with quality products and services. 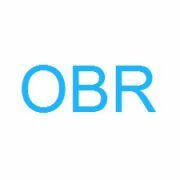 OBR Engineering works to understand the customer’s specific needs, direction, and goals and tailors its deliverables to provide the most ‘Lean CI value’. The work performed is a reflection of individual and collective OBR Engineering knowledge, skills, and abilities. OBR Engineering makes a concerted effort to maintain top technical, management and financial knowledge applicable to ‘Optimization of Business Systems’.